Can't connect to internet using Sims 3 launcher, but I am able to connect with everything else.. Help? I just finished installing the Sims 3 supernatural and seasons on my Mac, but when I open up the launcher when I click on the seasons icon, it goes to the last Sims expansion pack I installed which is generations, and doesn't even say that either of the expansion packs I just installed are there and continues to tell me to insert the generations CD instead of the seasons CD. We have a router for the internet, so I'm not sure if that would have anything to do with the problem, the fact that the Sims 3 launcher won't even connect to the internet. I am no good with computers so please tell if there is anything else I can do. Anywhere else I go that doesn't have a router I can connect to the internet fine with the Sims 3 launcher on my Mac, but for some reason I can't with the router. Re: Can't connect to internet using Sims 3 launcher, but I am able to connect with everything else.. Help? I am having the problem related above from last year. I just downloaded the new expansion Paradise Island today. I have the latest patch 1.55. Iuse Windows7. I have all the expansions and stuff packs. I use custom content. The last game I installed was Dragon Valley. The game has worked great so far. After downloading Paradise Island I get the "can't connect to the internet to authorize game ownership" error. I have the dowloaded version from Origin.com. I thought the serial code might not have been updated with Origin, so I went to the Sims3 website and tried to register the new expansion. But the s/n is invalid/used/ etc. If I uninstall Paradise Island, the game works fine again. Any help would be appreciated. I pre-ordered this expansion because I really want to play it! I'm very disappointed that on my first day I can't get into the game with it! 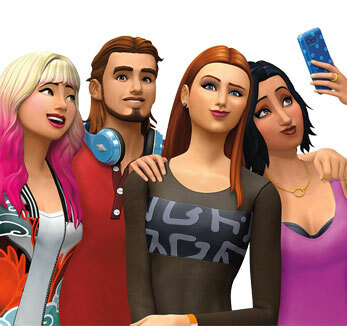 If anyone is still struggling with this..
i ended up with no internet connection on my sims launcher..
reset at the bottom of the window. i dont know what the problem was but it returned all my features.